Like the American Homebrew Association Learn to Homebrew Day, the Boston Beer Co. is keen to support homebrewers. Last week, the Samuel Adams brewer proudly revealed the latest class of LongShot American Homebrew winners at the Great American Beer Festival in Denver — one of craft beer’s biggest stages. Besting more than 1,000 entries — this year’s winners include Tamarac, Fla., resident Russ Brunner’s American Stout; Evanston, Ill., resident Cesar Marron’s Gratzer; and Samuel Adams employee Teresa Bury’s Pineapple IPA. Winners will receive the ultimate honor in beer — for their homebrew recipes to be enjoyed by drinkers across the country. These winning brews will be bottled and made available nationwide next year in the 2014 Samuel Adams LongShot variety six-pack. Jim Koch, Samuel Adams founder and brewer, hosts the annual LongShot homebrew contest to recognize the most talented homebrewers in the country — those who continue to push boundaries and elevate the possibilities of craft beer. Homebrewers are craft beer’s next generation of brewers. Need proof? To date, Bob Gordash, winner of the 1996 LongShot Homebrew Contest, and Don Oliver, winner of the 2006 Samuel Adams LongShot American Homebrew Contest, have gone on to become professional brewers, turning their homebrewing hobby into a career. 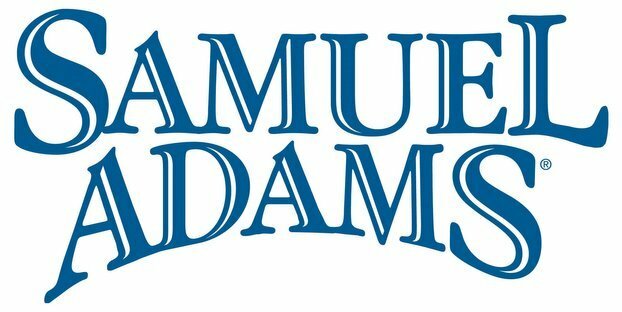 Samuel Adams also recognizes the inherent brewing passions of their own employees and chooses an annual employee homebrew winner to include in the LongShot variety six-pack alongside two consumer winners. This year’s employee winner is Teresa Bury’s Pineapple IPA. Teresa works at the Samuel Adams Pennsylvania Brewery as a brewing operations specialist. The 2014 Samuel Adams LongShot American Homebrew Contest variety six-pack will be available nationwide in select retail stores in the spring of 2014. The variety pack will include two bottles each of Russ Brunner’s American Stout, Cesar Marron’s Gratzer and Teresa Bury’s Pineapple IPA. Russ Brunner’s American Stout is a big malty stout with notes of chocolate and coffee that carry through to a velvety finish with notes of roasted cocoa. The richness is balanced by hints of citrus and pine from the American hops that add a subtle bitterness to this deep and satisfying brew. Russ has been brewing for three years, but this was the first recipe Russ created from scratch. Cesar Marron’s Gratzer is a light, Polish smoked wheat beer that packs a punch of smoky sweet flavor from the heirloom smoked malt used and spicy and herbal notes from Saaz hops. This beer draws its inspiration from Cesar’s fond interest in the unusual, yet traditional, Polish smoked style. Teresa Bury’s Pineapple IPA is brewed with four different American hops that showcases grapefruit character mellowed and complemented by the tropical fruit notes from the pineapple. Theresa made it a personal challenge to create a beer with a strong hop flavor that was balanced with her favorite fruit, pineapple.